Stephen Harper had a showdown with Vladimir Putin on Saturday, telling the Russian leader to 'get out of Ukraine' in a dustup at the Group of 20 summit in Australia, and it has earned him some love from the Australian media. Prime Minister Stephen Harper has earned some love from the Australian media for his dustup with Russia's Vladimir Putin on the first day of the Group of 20 summit. All-news networks and Australia's Sunday Mail reported on the prime minister's bold admonishment to Putin to "get out of Ukraine" at a private leaders' retreat ahead of the official opening of the summit earlier this weekend. "Handshake came with a slapdown for Russian leader," read the headline of the Sunday Mail piece. It featured a photo of a beaver chomping on the Russian flag. Australia's Business Insider also reported that Harper showed Australian Prime Minister Tony Abbott "how to shirtfront the Russian president." Shirtfront is an Australian expression for smack down. Harper's spokesman, Jason MacDonald, said the prime minister was speaking to a group of G20 leaders at the retreat when Putin approached and extended his hand. MacDonald said Harper told Putin: "I guess I'll shake your hand but I have only one thing to say to you: You need to get out of Ukraine." According to MacDonald, Putin did not respond positively. He didn't provide further details. But a spokesman for the Russian delegation said Putin's response was: "That's impossible because we are not there." Harper and the leaders of the world's top economies began the annual summit in a tense atmosphere dominated by Western anger towards Putin. The G20 leaders have raised the prospect of further sanctions against Russia. Abbott lashed out at the Russian leader for apparently flexing his military muscles by sending four Russian navy ships to stalk Australia's northern coast in the days leading up to the G20 summit. British Prime Minister David Cameron, meantime, warned Putin that Russia's entire post-Cold War relationship with the West is at risk due to the situation in Ukraine. The two leaders reportedly had private talks that were "robust." 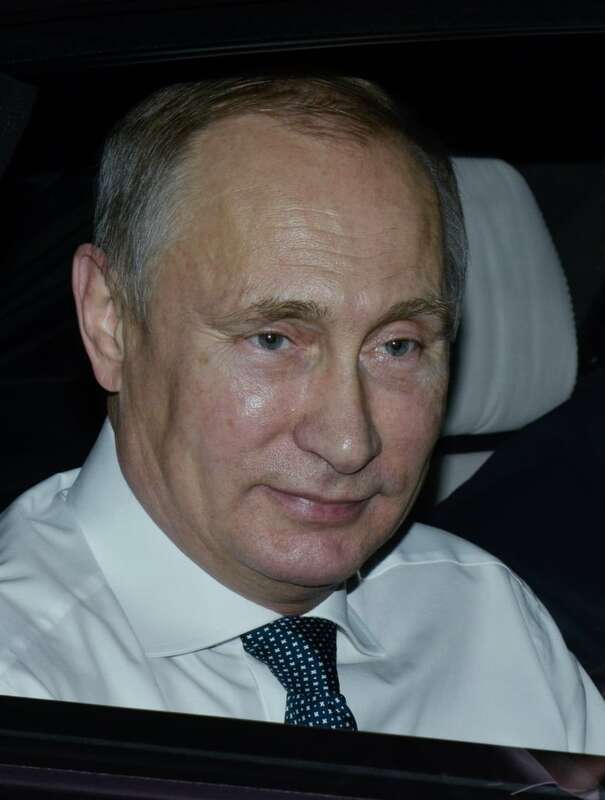 There were also reports that Putin decided to leave the summit early, missing the official Day 2 lunch, following his meeting with Cameron and another strained encounter with French President Francois Hollande. The Kremlin denied it. Hollande has delayed a deal to supply two warships to Russia. Harper has been a vehement Putin critic for months, with Canada and Russia trading a number of retaliatory sanctions. He recently condemned the "continued penetration of Russian presence in eastern Ukraine and obvious actions to extend and provoke additional violence. That's of great concern to us." On Day 2 of the summit, the prime minister met with top European Union leaders Jean-Claude Juncker and Herman Van Rompuy. He also sat down with Spanish President Mariano Rajoy Brey. Harper will also take part in G20 working sessions on global economic resilience. The G20 leaders are also endorsing a plan to kickstart global economic growth and thwart corporate tax evaders. Abbott, the chairman of the summit, is set to release a set of strategies submitted by each member country aimed at increasing global GDP by 2.1 per cent in the years to come. The measures will create millions of jobs worldwide, Abbott said Saturday. The leaders are also expected to give the green light to measures that will strengthen global banking systems, safeguard the derivatives markets and address the dangers posed by banks considered too big to fail. They're also slated to endorse an initiative to crack down on tax avoidance and tax evasion and ensure that company profits are taxed where they are generated. On Day 1 of the summit, the leaders agreed to "extinguish" the Ebola outbreak, but they didn't pledge any new funding for those efforts despite pleas from health-care workers battling the outbreak for more resources.